With a new logo and legacy publishing platform in hand, SmarterTravel engaged 10up to fully remake their web presence. SmarterTravel, a TripAdvisor company, engaged 10up in relaunching their namesake site SmarterTravel.com, which provides travel advice, news and travel deals. The website had not been revisited since they first launched in 1998, with the exception of a small “touch up” in 2010, and was showing its age: a suboptimal layout, a rigid non-responsive grid, and dated look-and-feel. 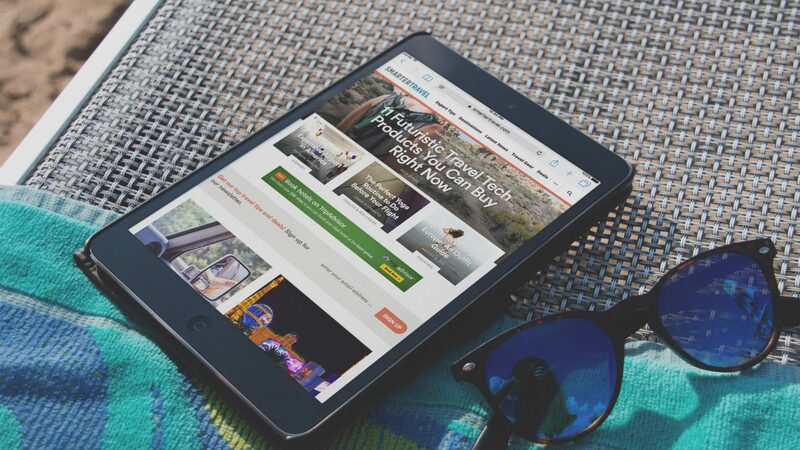 The team at SmarterTravel wanted to breathe new life into the site and relaunch a multi-device experience that would be exceptional. SmarterTravel’s frontend wasn’t the only outdated digital asset. Their editorial workflow—dependent on a legacy CMS—had become unwieldy. The sluggish platform had been developed in-house and its developers had parted ways with SmarterTravel, leaving SmarterTravel on a legacy platform which they could not support or improve. 10up worked with SmarterTravel to rebuild their site from the ground up. Beginning with an onsite discovery and kick-off, 10up spent the next six months leading every aspect of the project. Based on their original concept logo, 10up crafted an online brand strategy and site design. We migrated their content to WordPress, leveraging the platform to develop new, efficient publishing workflows for editorial staff.